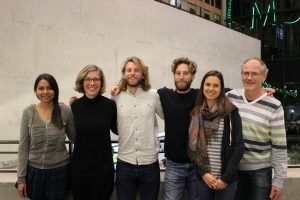 A group of enthusiastic students has been working on a Studium Generale activity about ‘Education for Sustainability’. This wass done in collaboration with Studium Generale. Together they prepared an interesting and inspiring series of lectures about the role of education in sustainability. The series took place in June and showed different aspects of education and how sustainability plays/can play a role in this. Do you want to have a look at the Studium Generale lectures and see the topics, or take part in an Open Mind Lab yourself? Click here!